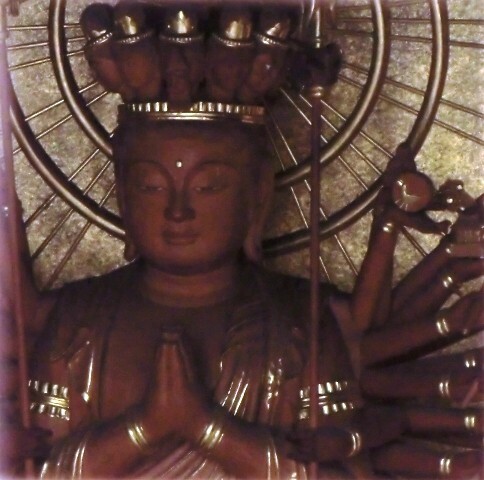 As you may already know, Shikoku is famous among other things for its Pilgrimage of 88 Buddhist Temples. 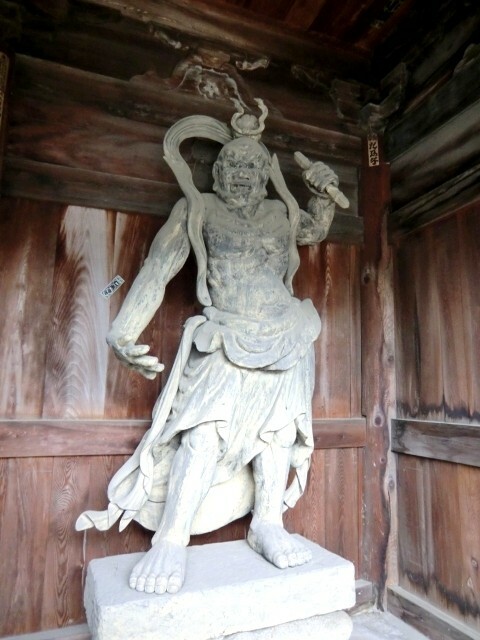 I’m sure that I will talk about it into more details another day as today I am going to focus on only one of those temples; temple number 80, Sanuki Kokubunji (国分寺). It was the fourth temple I visited in my own (long term) pilgrimage. 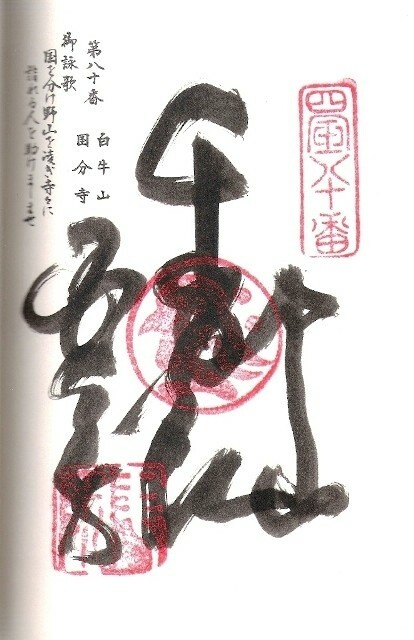 After visiting each temple, if one has a “pilgrimage book” one can get a calligraphy signature of the temple. The goal being to get all 88 of them. When one considers that this pilgrimage has existed for about a thousand years, and the fact that this tradition must be more or less as old, it makes you realize that this habit of collecting things that people have is not a new fad. First, one must not be mistaken. There are a lot of Kokubunji all over Japan. 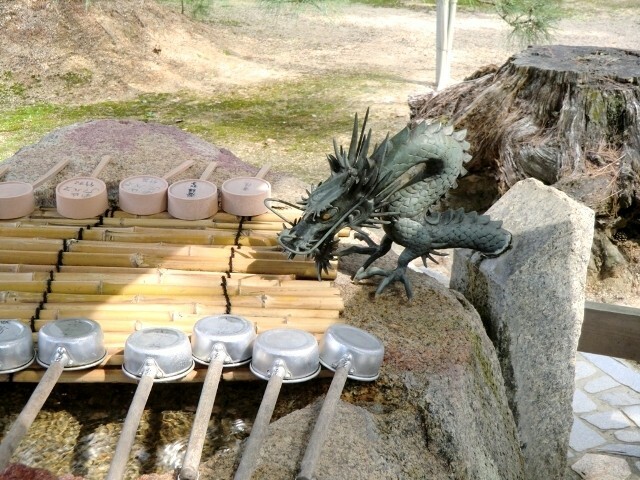 Just with the Shikoku Pilgrimage, there are no less than four of them. 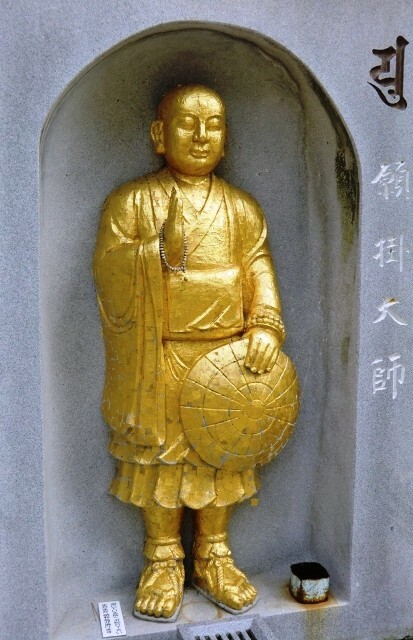 Well, Kokubunji means something like “Temple of the Country’s Province.” This has to do with Shōmu, 45th Emperor of Japan, who is the one that divided the country in provinces and who, in the year 741, ordered that Provincial Temples be established in each province. 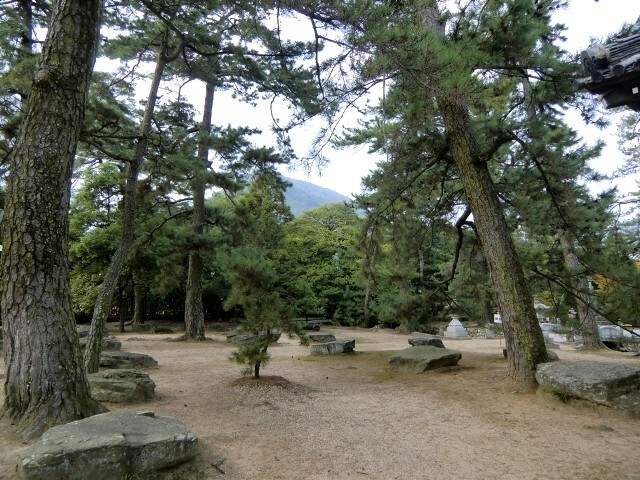 They became known under the name of Kokubunji or more officially Konkomyo-shitenno-gokoku no tera which means “temple for the protection of the country by the four guardian gods of the golden light.” Much more impressive indeed; but let’s admit that it’s much harder to use in a casual conversation. 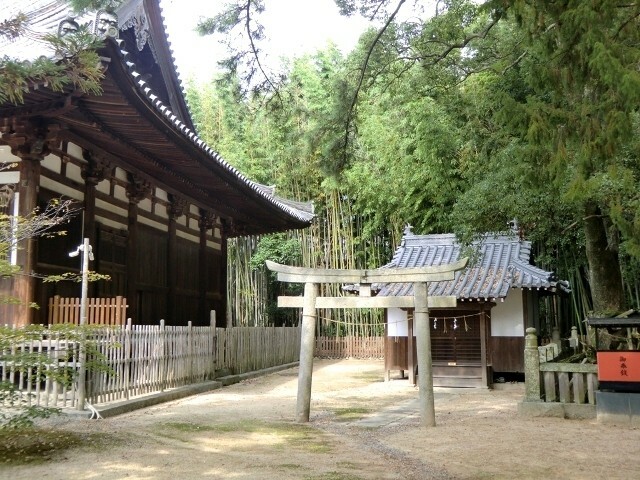 The head temple is the Tōdai-ji in Nara by the way. 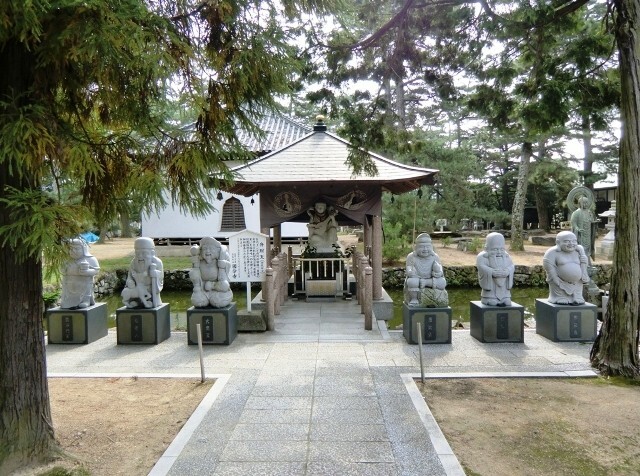 Now, you understand better why there are four Kokubunji in the Shikoku Pilgrimage, one per province (oh yeah, to understand completely one must know that Shikoku means “Four Provinces”). There are also a few others that survived until today in various parts of the country. 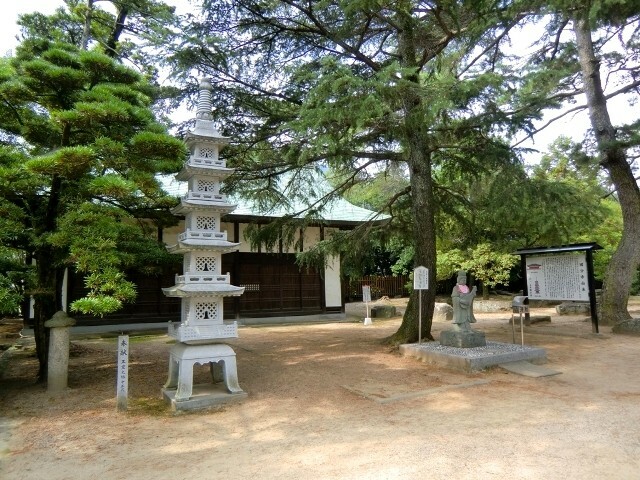 So, the Kokubunji I’m talking about today is Sanuki Kokubunji, that is the one from the Sanuki Province (aka Kagawa Prefecture nowadays). 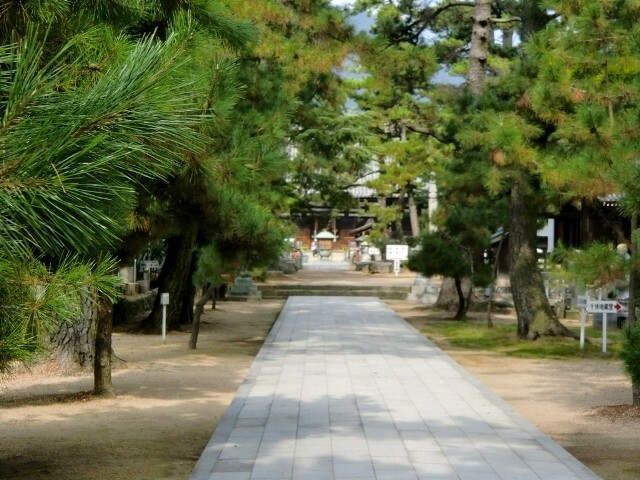 As I already mentioned, it’s the 80th temple in the Pilgrimage and I don’t have much more to say about it. A vague description will never properly give you a feeling of what the place is, only being there will. Even pictures won’t really do the trick, especially because –just like with most Buddhist Temples- one cannot take pictures of the heart of the temple (the main rooms). 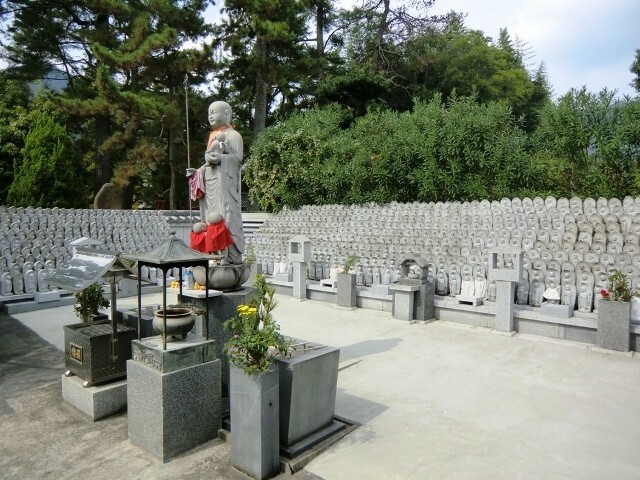 In this case, a room filled with literally thousands of small statues, symbolizing the many people that helped (financially or else) the temple over the years. 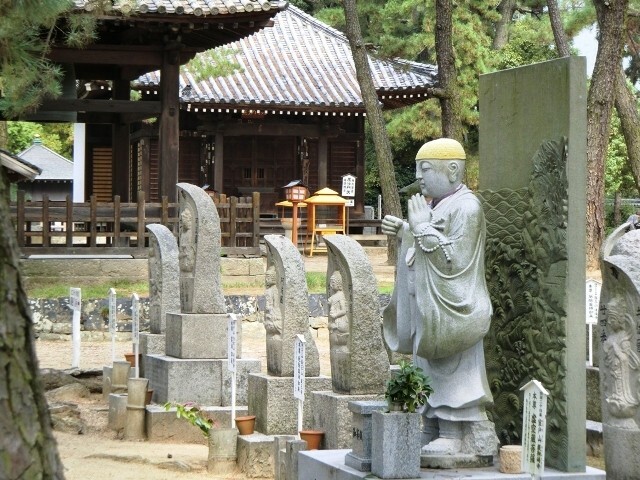 Interesting detail: for those who don’t have time to go to all the 88 temples (or are too old to do so), they can just go to Sanuki Kokubunji and visit the 88 steles that represent the temples. 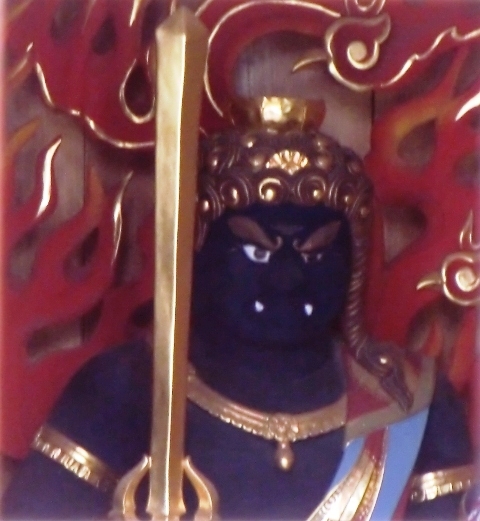 Shintoism is never too far in Japan, even in Buddhist Temples. 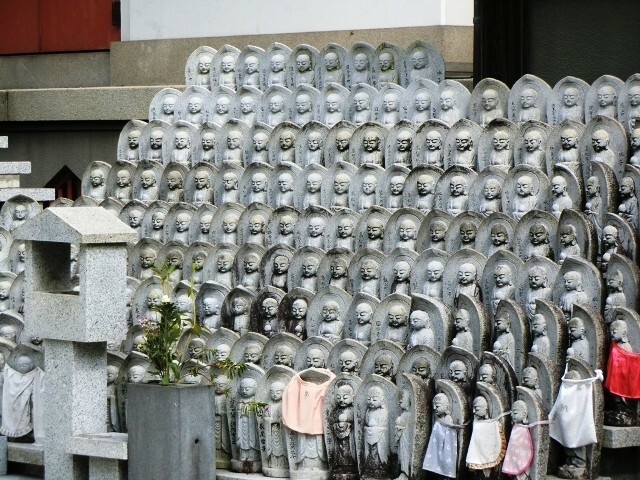 For example, the Seven Lucky Gods are there. Benzaiten has a privileged spot here, I’m not too sure why. 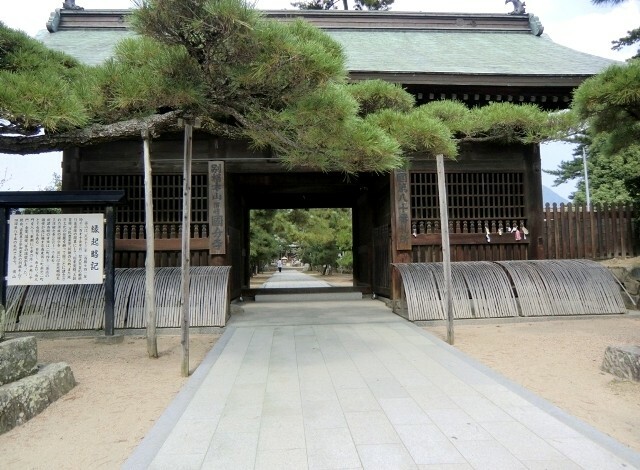 Shintoism and Buddhism are two religions that cohabit perfectly in Japan (to the point that some Japanese people don’t always really make a difference) and there are many bridges between the two religions (if only more religions could be like that, the world would be a better place). 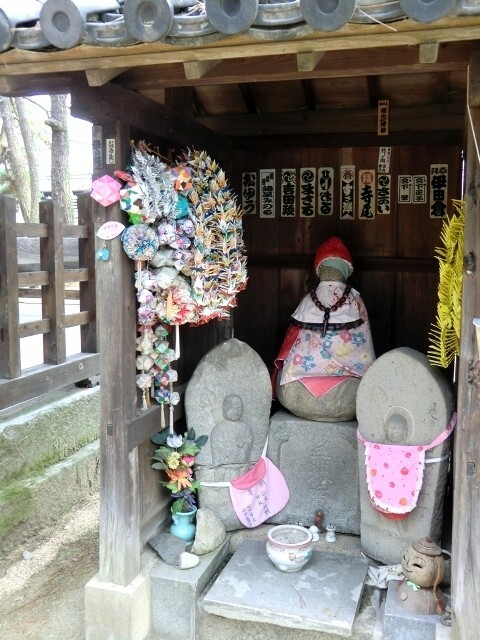 For example here, Benzaiten is the Japanese version of the Hindu (and consequently Buddhist) Goddess called Saraswati. 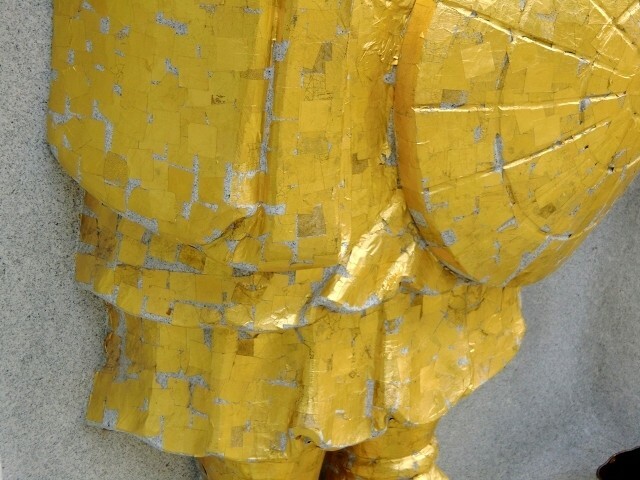 A statue of Kōbō-Daishi covered with gold leaves. It’s the pilgrims who buy those gold leaves and then put them on the statue. 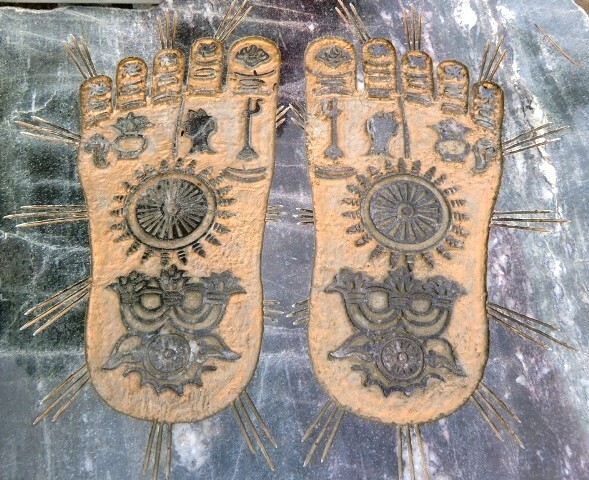 Kōbō-Daishi’s footsteps (yeah, I know, he had very strange foot soles, but don’t forget that he was an exceptional man). Touching them grants your wishes. I hope you get to visit one day.